7. On The Edge Of Sorrow (4:03)8. – Long-awaited third album by the Japanese “Defenders of Metal” playing oldschool Heavy Metal, who features two Sacrifice (Japan)* members and “Mad” Ohuchi of ex-Anthem. – Their previous album “Brave the Storm” was released in Europe on Fastball Music to critical acclaim. – Their live debut at Headbangers Open Air 2003 was praised as “the highlight of the festival” by German Rock Hard magazine. Japan’s SOLITUDE was formed in 1996, when two ex-members of SACRIFICE (Japan)*, the founding member and main composer Akira Sugiuchi <vo> and the bass player on two of their albums Toru Nishida, met ex-RIP RIDE guys of Yasuo Koyano <ds> and Hiroki Nakamori <g>. The guys kept on rehearsing for as long as 3 years, composing songs and forging the foundation of the band. With Heavy Metal as its core, their sound has tastes of various music as if to show that they have been influenced by various different styles of music, such as 70’s Hard Rock, Progressive Rock, and most notably NWOBHM, among others. In 1998, they picked up “SOLITUDE” as the name of the band, and they played live for the first time in March 1999. This debut live was reported through fanzines and the internet, with such praises as “the birth of the new Defenders of Heavy Metal” or “the answer to what Heavy Metal is”. In September, Shingo Ida (ex-BARTOLOMMEO) replaced Nakamori, and his distinctive style of melodic guitars has brought a new blood into the band. 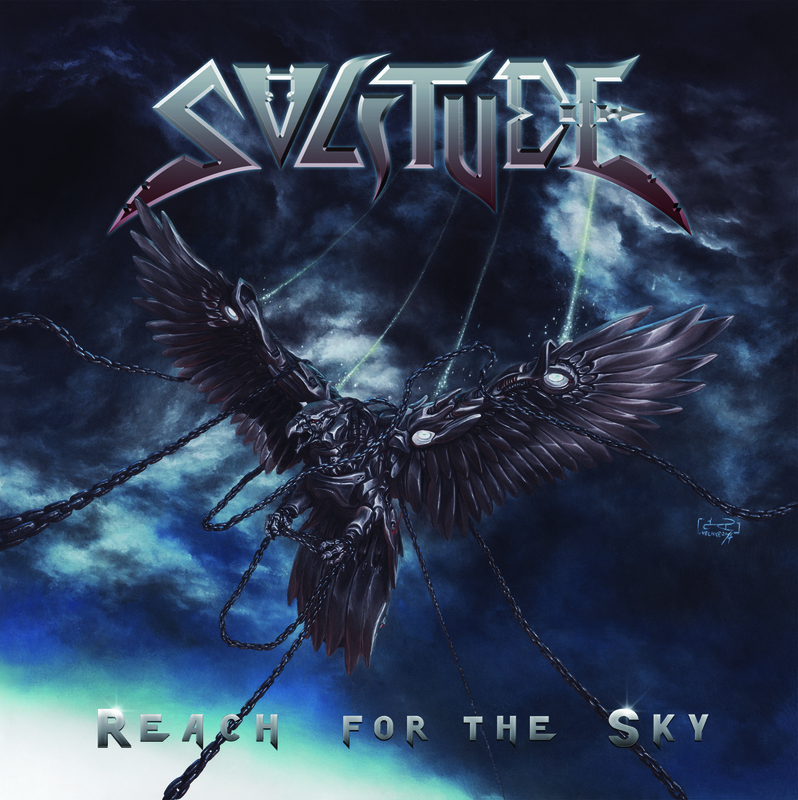 In November, they recorded two songs, “Virtual Image” and “Eagle Fly”, latter of which was dedicated to their favorite British Heavy Metal band, SAXON. This recording was used for promotion as “SOLITUDE Demo ’99”. In July 2000, the band started recording an album, and the recording carried on until December as the band aimed at the highest quality they could achieve. Their debut album “Virtual Image” was finally released on 5th of September, 2001 as the first-ever release of SPIRITUAL BEAST, who would later grow to one of the leading independent Heavy Metal labels in Japan. The album got rave reviews from the underground fanzines and webzines, not just in Japan but in the US and throughout Europe, and requests for interviews flooded in. The reaction was especially overwhelming in Germany, owing to the sampler CD called “Metal Crusade” from “Heavy oder was! ?” magazine, which featured the title track “Virtual Image”. Koyano left the band prior to the release of the album, but the band continued touring with the help from Suguru Kobayashi (ex-CASBAH), sharing the stage with various bands from OUTRAGE, RAGING FURY or METALUCIFER to DEFILED and SIGH. In July 2003, having added Tai Syouda (ex-GUARDIAN’S NAIL, now leading his own band, SEVENTH SON) as a permanent drummer, they flew to Germany to play at “Headbangers Open Air”, where they shared the stage with veterans like BLITZKRIEG, TRESPASS, and KILLER (Belgium) as well as youngsters like STORMWARRIOR, CRYONIC TEMPLE and DOOMSWORD. Their performance was praised by various media, with German “Rock Hard” magazine describing them as “the highlight of the festival”. The fact that many metalheads kept on chanting for SOLITUDE for a while after they left the stage proves the impact they had. In 2004, they started preparing for a new album, and first recorded “Rainbow Theme” – “Frozen Rainbow” for a SAXON tribute album “Eagleution – A Tribute to Saxon”, put together by Remedy Records in Germany. The recording continued while the band played selected gigs like “Duryu Rock Festival” in Korea (with JURASSIC JADE from Japan, MINDFLOW from Brazil etc), or first-ever opportunity to play in Sapporo, Hokkaido, but their uncompromising attitude and various personal issues of each member delayed the whole process more than they had expected. The recording, carried out at various points, was finally over and while they were waiting the mixing to be done, at the end of 2008, Syouda decided to leave the band. 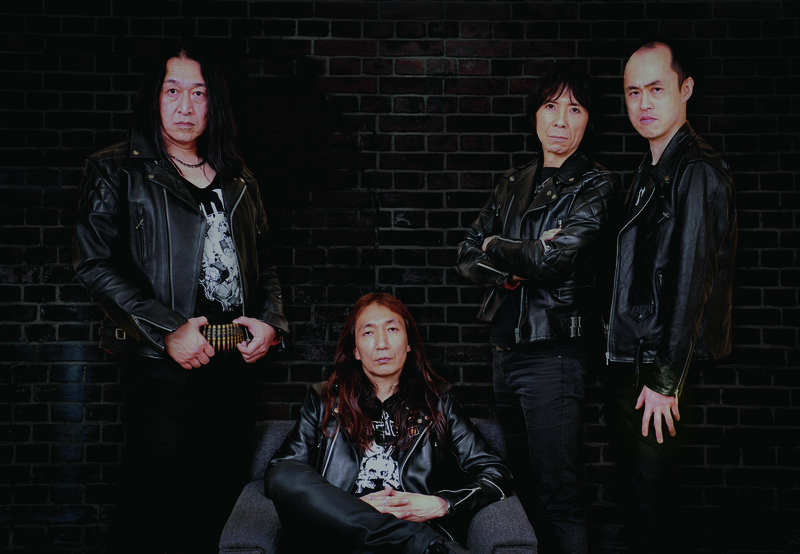 In February 2009, the remaining 3 guys participated in a NWOBHM cover event “Denim And Leather” as “SOLITUDE with Mad Ohuchi”, featuring none other than Takamasa “Mad” Ohuchi of ex-ANTHEM fame on drums. This resulted in Ohuchi joining SOLITUDE as a permanent member later that year. In December 2009, after 8 years from the debut album, the long-awaited (literally!) new album “Brave the Storm” finally hit the stores. Like its predecessor, the album was produced by Fuyuhiko Inui, ex-band mate of Ida, who has been involved in various recordings as engineer/producer from BUCK-TICK or CHARA to MAVERICK. The mastering duty was handled by Alan Douches at West West Side Music (THE AGONIST, MASTODON etc). In January 2011, the band toured Korea and Japan with Swedish sensation Enforcer, with Mean Streak also added for the Japanese dates. In September, “Brave the Storm” was released in Europe on Fastball Music in Germany, proving their growing popularity in the mainland Europe. In July 2012, the band helped set up a Japan tour for Canada’s Skull Fist, and toured with them and Widow from US. In 2013, they co-hosted the “Japanese Assault Fest”, sharing the stage with GIRLSCHOOL, VEKTOR, FASTKILL, AIR RAID etc. In April 2014, the band finally started recording a new album. Looking for the kind of sound production they grew up listening, they went into a closed movie theater in Gotenba, Shizuoka, where they brought in the recording equipments, just like Deep Purple did in a hotel; Rainbow did in an old castle etc in the 70’s. With the great ambience and the environment to allow you to play as loud as you want, the place was later modified into a proper recording studio called “Tapestry Recording Studio”. The band appeared at the “Japanese Assault Fest” two years in a row (SATAN, HEAVY TIGER, MIDNIGHT MALICE, ETERNAL ELYSIUM etc) later that year. The album was mixed and mastered at Pama Studios in Sweden, by Magnus “Mankan” Sedenberg and Magnus “Maxe” Axelsson respectively, who had worked with such bands as BULLET and CRUCIFIED BARBARA. The stunning artwork was painted by the Italian artist Velio Josto, who had done covers for WARLORD, MEDIEVAL STEEL, OSTROGOTH among others. The album “Reach for the Sky” will be released on SPIRITUAL BEAST in June 2015, and the band will be extensively touring throughout Japan for the rest of the year, starting in Nagoya in August. *SACRIFICE (Japan) was one of the leading bands in the Japanese thrash/underground scene from their formation in 1985 until disbanding in 1992, and they left a lot of impacts on young and upcoming bands then and even now. During their career, they released three studio albums, “Crest of Black” (1987), “Total Steel” (1990) and “Tears” (1992) and shared the stage with SODOM (Germany), NUCLEAR ASSAULT (USA), CASBAH, OUTRAGE, UNITED (all from Japan) among many others. They once featured Shinji “Samm” Tachi of ex-SABBAT on drums, who later formed MAGNESIUM and also joined his brother in METALUCIFER. SACRIFICE has recently reunited under the lineup of Sugiuchi <vo>, Nishida <b>, Tachi <ds> and Temis Osmond <g> of ex-SABBAT fame. Past Feature: such as Artist of the Month or Single of the Week, etc if any: “Hard Rock/Heavy Metal Album of the Year 2015” by Tower Records, Shibuya. Shared stage with: Enforcer, Skull Fist, Widow, Blitzkrieg, Trespass, Girlschool, Satan, Vektor, Suicidal Angels, Diemonds, Midnight Malice, United, Casbah, Coffns, Edge of Spirit, Eternal Elysium, Coffins, Sabbat.